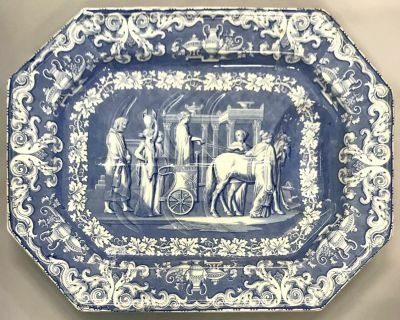 Antique blue and white transfer ware platter. 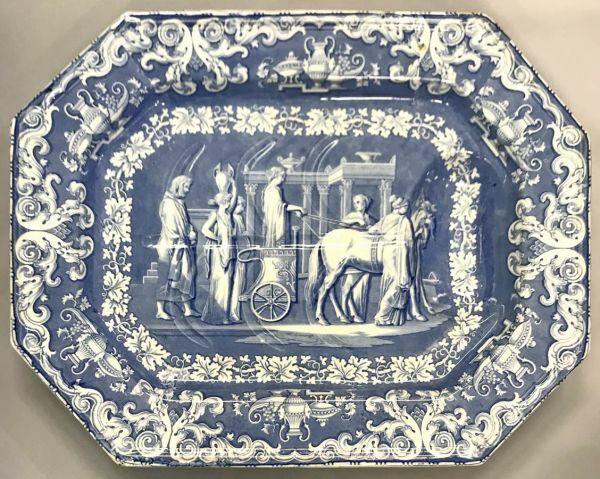 Joseph Clementson well and tree form platter in the “Classical Antiquities, Ulysses Following The Car Of Nausicaa” pattern, made between 1849 and 1864. The platter is 19 1/2” by 15 1/4”, 2 1/2” deep. This is a multi-motif pattern. 2 rim soup bowls, “The Judgment Of Paris”, 10 1/4” diameter, $265 each. 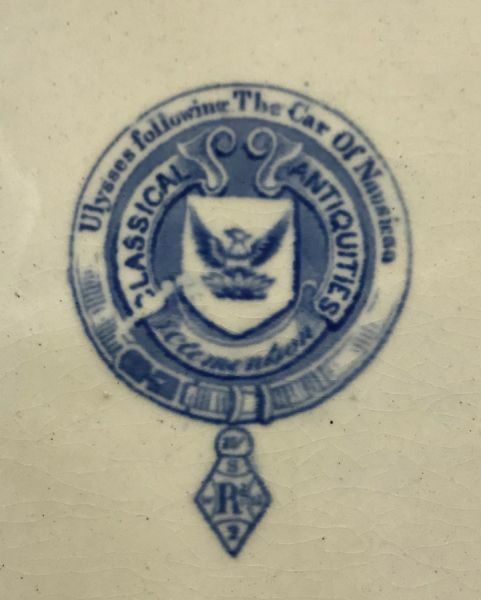 1 dinner plate, “Phemius Singing to the Suitors”, 10 1/4” diameter, $295.